Laser-Assisted in situ Keratomileusis (LASIK) can induce corneal aberrations that can impact vision and patient satisfaction. Recent developments in laser technologies have helped minimise these aberrations. To assess the quality of vision and change in Higher-Order Aberrations (HOAs) following wavefront-optimized LASIK in low-myopic astigmatic patients. LASIK was performed on a total of 76 eyes in patients with myopia <4.0 D and cylinder <2.0 D using the WaveLight® EX500 excimer and FS200 femtosecond laser platform. Visual acuity, contrast sensitivity and HOAs were measured at 1 and 3 months postoperatively and compared to preoperative values. 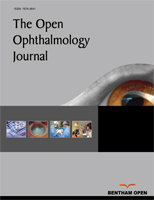 Subjective quality of vision was assessed pre- and postoperatively using a VF14 questionnaire. Mean postoperative Spherical Equivalent (SE) was -0.09 ± 0.26 µm with 95% of patients within ± 0.5 D of attempted SE. Postoperative uncorrected distance visual acuity was 20/20 or better for 96% of patients. Contrast sensitivity increased against horizontal and vertical gratings at all spatial frequencies except for vertical gratings at 18 cycles/degree. Spherical aberration and total HOA increased by 0.085 µm and 0.13 µm respectively. The mean VF14 score increased from 89.2 ± 16.7% to 99 ± 1.4% postoperatively. LASIK performed using the WaveLight® EX500 excimer and WaveLight® FS200 laser platform provided improved contrast sensitivity and visual acuity with minimal introduction of HOAs, making it a suitable platform for low myopic astigmatic patients. Keywords: LASIK, Aberrations, Contrast sensitivity, Vision quality, Myopia, Astigmatism. © 2018 Agarwal et al.